A whole bunch of stars is aiming to “Get Lucky For Lupus” on Thursday, February 25, at a charity poker tournament. 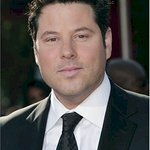 Heroes stars Greg Grunberg and James Kyson Lee will join host Joanna Krupa for the tournament, along with Jesse Metcalfe, Joel Madden, Scott Grimes, Corey Feldman, Lou Diamond Phillips, Sean Patrick Flannery, Shanna Moakler, Tia Carrere, Jesse Spencer and many more. The tournament will also include silent and live auctions with unique and priceless memorabilia from stars of sports, music, TV and film, a customized photo booth, hors d’oeuvres and cocktails, music and fun. Get Lucky For Lupus raises money for Lupus LA, and will take place at the Andaz Hotel in Los Angeles. More info can be found here. Lupus manifests itself so differently in people. Its consequences can include heart attacks, strokes, seizures, kidney failure and death. There have been no new drugs approved by the U.S. Food and Drug Administration specifically for lupus in more than 40 years. No one is safe from lupus; it affects men and women, although women are more likely to acquire the disease. It tends to strike the range of women of color more commonly.